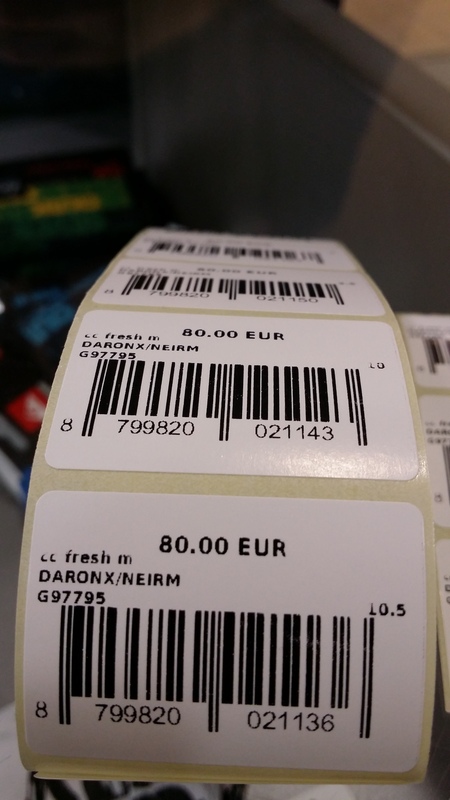 We have implemented another barcode report with size 4.3cm X 3cm. 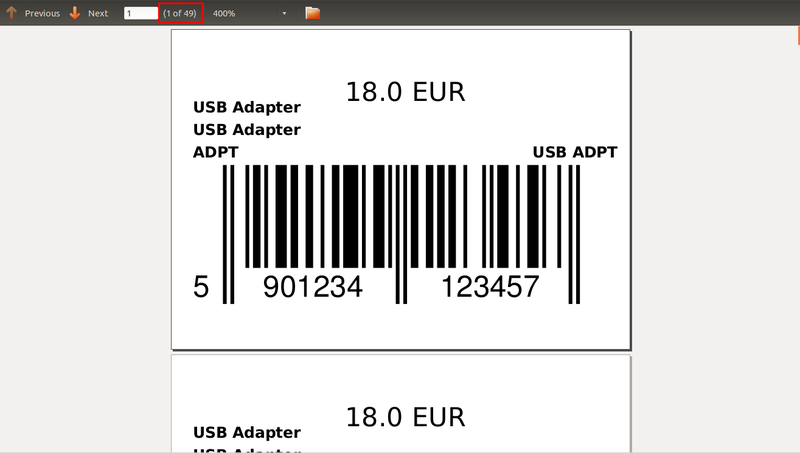 It is printing one barcode on each page based on quantity available of selected products. 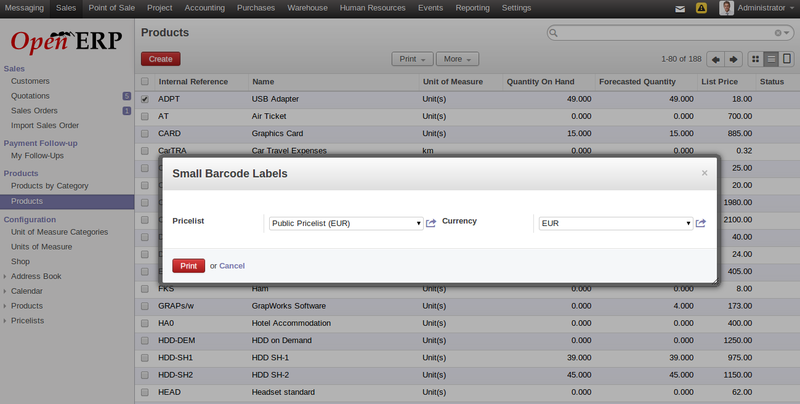 User can select pricelist and currency as optional to print on barcode. 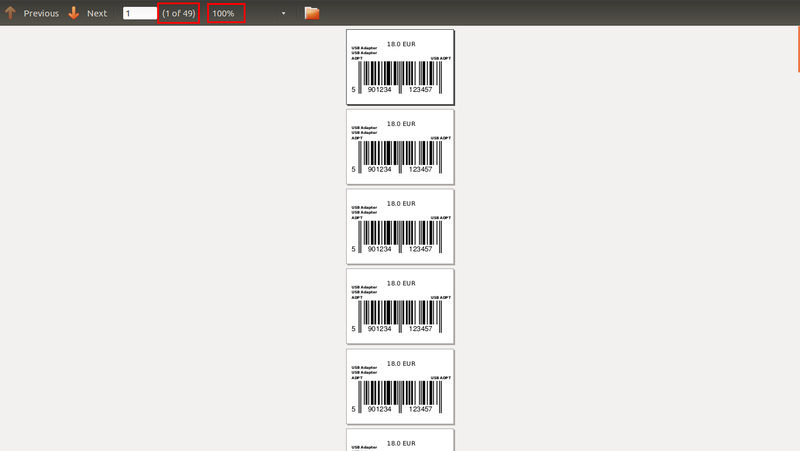 This is example of product which has 49 available quantity into stock. 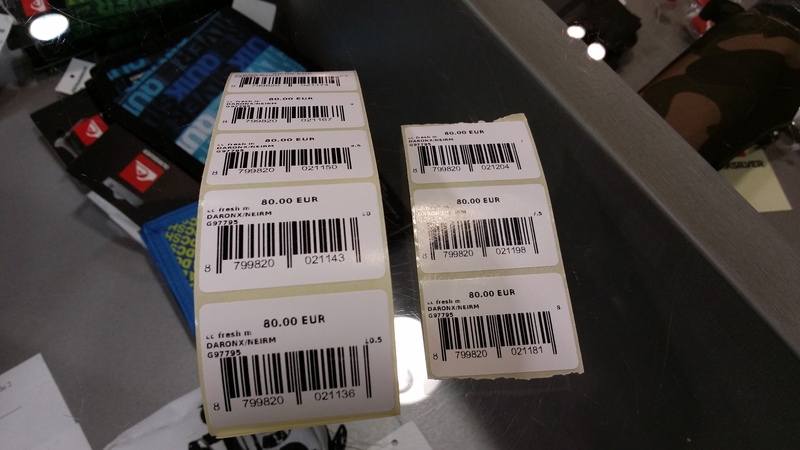 This is actual printing of barcode on paper.